On my way down to the beach to watch the sunset this evening, I bumped into Wendy (who I met in the laundry room) from day 3! Just two weeks in, this project is already building a deeper sense of community. When I got to the beach the sun was just setting. The mountains were lined by a warm fuchsia glow. I was strolling along the water when a man came up to me and said hi. His name is Juanito. He happily accepted my offer to be my stranger of the day. 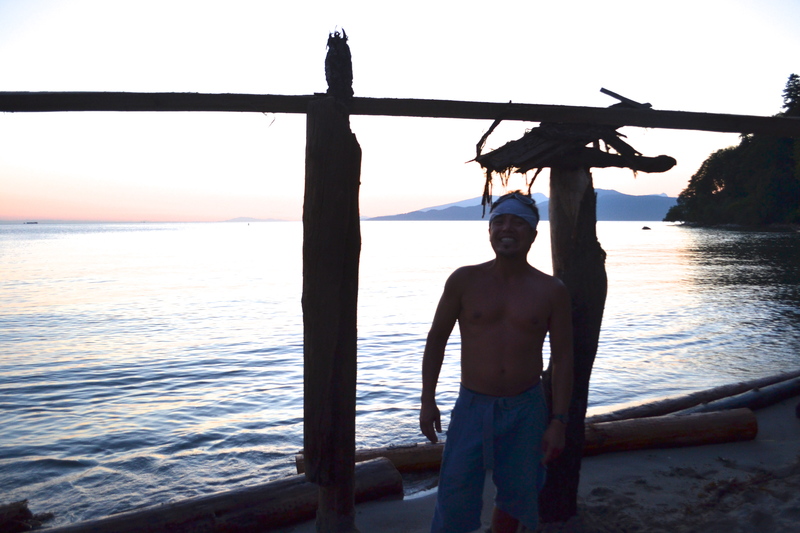 Juanito came to Vancouver from Peru 25 years ago. 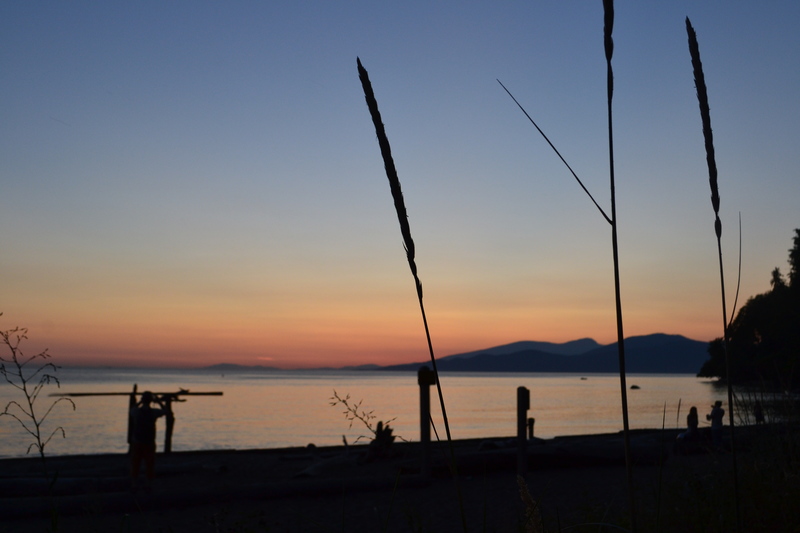 He has been working on Wreck Beach as a Peruvian food vendor ever since. “We’re down here every sunny day”, he said. He works there with his mom, Lucy. “Juanito!” His mom yelled to him as we were talking. They were just packing things up and calling it a day. I offered to help. At first he said no but I insisted. As we carried some boxes together, I commented on how great it must be to work by the ocean. “It is great”, he said. “But it’s a lot of hard work.” He told me about how sometimes people don’t realize how much hard work goes into his job. In the wintertime, when he’s not working at the beach, he likes to read and take courses at the community centre. He loves learning new things and describes himself as a jack of all trades. “I know a little bit about a lot things”, he told me. When he has free time, he loves to dance. Reggae is one of my favourite genres. I asked him if he had any recommendations and he said to just search Bob Marley on Youtube and then to click the recommendations. “That’s what I do”, he said. He used to have a sizeable collection of CD’s ranging from Latin to hip hop to rap to reggae music. Now everything’s on Youtube. When he came to Canada, he didn’t speak any English. I found that hard to believe because he was speaking it so well. As we walked, people kept approaching him and saying hi. A little girl came running up to him. “Juanito! Juanito!”, she yelled, smiling. He has really built a community down there at the beach. He seemed like a really happy guy so I asked him how he does it. He said it’s just breathing, really. Life is like breathing, he said, and sometimes it’s like coughing. You’ll go through your day breathing and then at the end of the day, maybe you will have done some wrong to someone else. When that happens, that’s like a cough. You have to let it out to breathe well again.